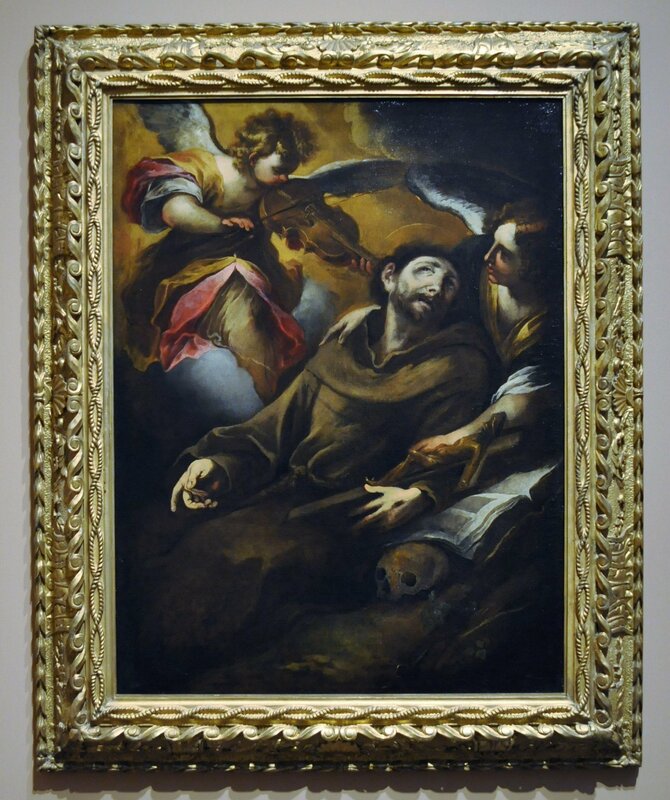 Meditating on the Passion, St. Francis was believed to have mystically received Christ’s wounds. In this variation on the theme of the stigmata, an angel playing the violin brings the saint to a state of ecstasy and spiritual transport. Appropriately expressionistic, the style of this painting combines the lyricism of earlier Genoese painters like Bernardo Strozzi, the strained feeling of early seventeenth-century Milanese painting, and the broad modeling of Anthony van Dyck. Castello was the most sophisticated and subjective painter in mid seventeenth-century Genoa.